Sri Lanka has a high literacy among other Asian countries. Our students have a strong will to succeed their lives with a challenging career. Students have now identified the importance of studying abroad. Our vision also is to provide best services to the students who wish to gain academic excellence by studying abroad. 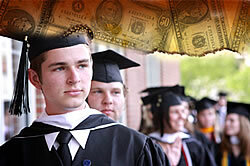 We now offer you the best quality service to fulfill your education aspirations. In 2003, we were established as a private company. Since then our service to the candidates was full of courteous and loyal. Students who wish to pursue higher studies in overseas can come to us and congregate the important information they expect. 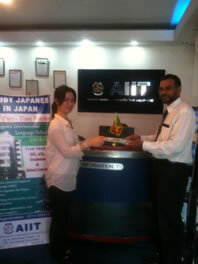 Our Staff is always welcoming you and they will help you to study in your dream university. Our counseling is free of charge. We guide you with all the important details for visa application documentation process. We are behind you from the beginning till you’ve been granted the visa. • Help to find accommodation. Malaysia is a very calm and quiet country to study where it offers you world class facilities including educational facilities. Currently there are more than 36,000 of foreign students of more than 150 countries around the world. Today there are many career opportunities for Malaysian degrees. Also, you can earn an UK degree in Malaysia. We have the authority to represent the Legenda Education Group & SEGi University in Malaysia. Today many Sri Lankan students pursue their higher studies in Singapore as it is a well stable country with many job opportunities. Once you have been to Singapore, sure it will be the best country you ever visited to. There are many universities and colleges offering every kind of Diploma, Advanced Diploma, undergraduate and postgraduate degrees which are recognized worldwide. Since Cyprus belongs to the European Union; their degrees are internationally valuable and recognized. People have lack of knowledge about Cyprus education.We recommend you to study at American College Cyprus which is a well recognized college with greater variety of courses for an affordable price. Visit American college for more details. 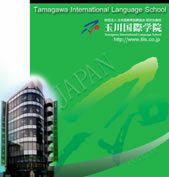 Tamagawa International Language School -TILS is located in the centre of Japan. Nearby there are Tokyo Station, Ueno Station, historical Centre Asakusa (Sensoji Temple) and University City Ochanomizu. The School established in 1989, has its own educational system to nourish students from all over the world. Teachers of TILS are dedicated to support students to proceed to higher education, as well as to look after their daily life in Japan. As a result, students are successfully accepted by many famous Universities, such as Tokyo University, Waseda University, Meiji University etc. Various types of part-time work are always abundantly on display at the TILS Bulletin Board. According to the survey conducted by JASSO, about 76% of international students having the "College Students" status of residence are working part-time, a large portion works in the food service industry, followed by sales and marketing, language teacher, clerical work, and others. The hourly wage varies according to locations but those working in food services are getting about ¥800 to ¥1200 an hour. Assuming that the maximum of 28 hours a week is fully used up to work; their earning will be around ¥22,400 to ¥33,600.